The drought in California this year has pretty much ruined the ski season. So I came up with the bright idea of driving 12 hours from Newport to Beach to Telluride Colorado this year. The plan looked great on paper. We would stay in Las Vegas and then drive a loop and stay one night each in Durango, Ouray, Telluride and then back through Las Vegas. I hadn’t counted on a blizzard dropping a foot and a half of snow on Route 550 between Ouray and Telluride the night we hit Colorado. In the weeks leading up to the trip, I had debated ordering a 28$ set of snow chains off Amazon. Not buying them turned out to be a minor disaster. 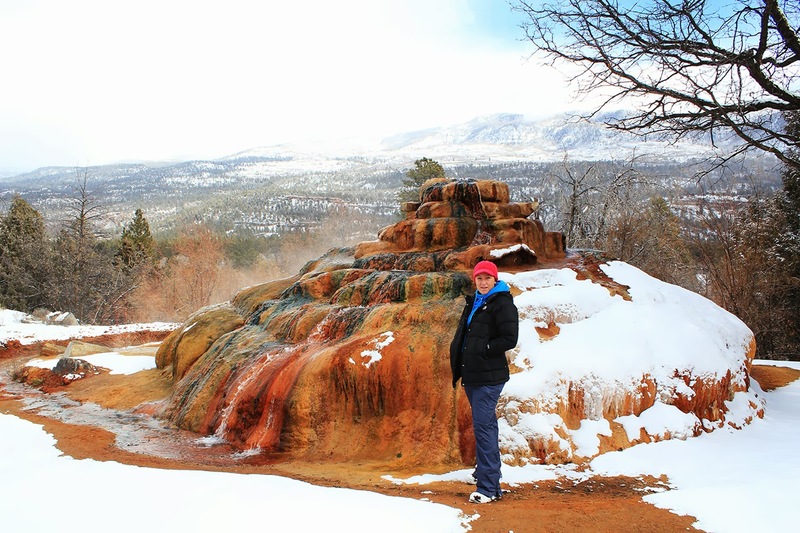 There are a few ways to drive from Las Vegas to Durango Colorado. The most obvious route takes you through the entrance to the South Rim of the Grand Canyon in Flagstaff Arizona. If you've never seen the South Rim, this is the route you want to take. I've been to the South Rim a few times, so I decided to take an alternate route through Saint George Utah on I-15, across the Glen Canyon Dam and Page Arizona on the 98 and finally picking up the 160 to Durango. This entire route is so beautiful that it merits a trip all by itself. You’ll pass through the Virgin River canyon. You’ll see high desert plateaus filled with Joshua Trees. You’ll see the Colorado River, the Glen Canyon Dam and Lake Powell. You’ll see rock pinnacles, mesas, snow-capped mountains, wind caves, Indian Reservations and even a little town called Colorado City filled with polygamist Mormons. Durango Colorado is a great little town in its own right. We only had one night in town, so we ended up eating a place near our hotel called the Irish Embassy. The pot roast was mind-blowing. I also ordered a terrific IPA from the local Ska Brewery. It reminded me of Pliny the Elder. We woke up the next morning to 6 inches of fresh powder on the ground and temperatures that were around negative 5 degrees. We hit Durango Mountain Resort and it was so cold that my girlfriend decided to stay in the lodge all day and play on her iPad. I snowboarded for about 4 hours before I got so cold that I had to come in too. 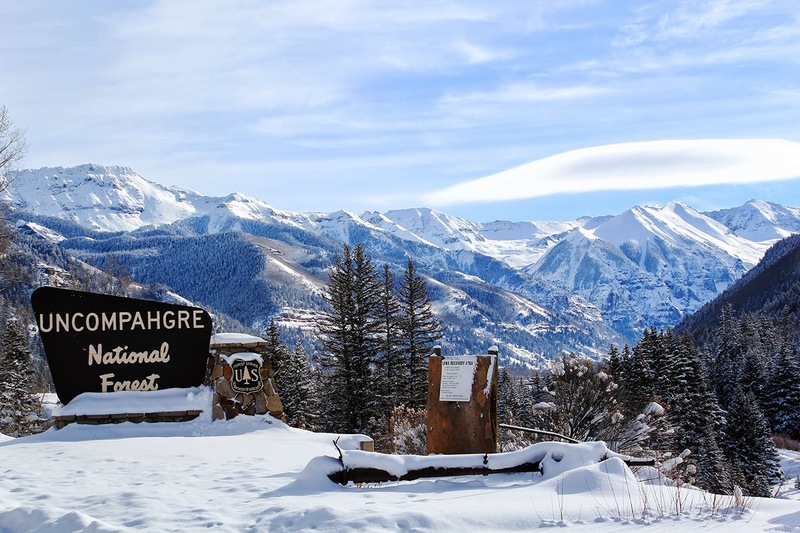 Durango Mountain is a great little resort, but it’s expensive. My lift ticket cost me 77$ and they don’t do night skiing. That's a premium price for a smaller place. Around noon while I was snowboarding, the blizzard hit. It was a near whiteout conditions. 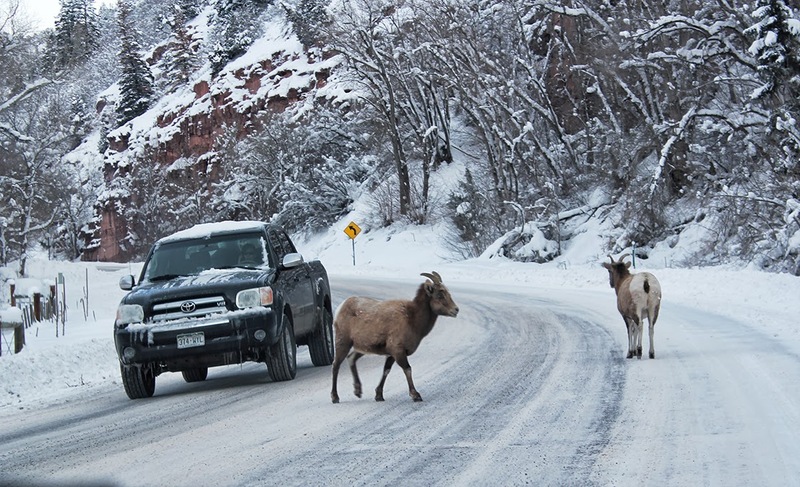 Our plan was to drive up the 550 and stay in Ouray that night. We got word that the pass was closed due to a rockslide and that we probably wouldn't be able to make it through. We decided to leave early in the afternoon and take the long way around before the snow got to deep. We drove up a mountain road with zero visibility in a foot of snow in a Toyota Corolla. We had so much snow and ice caked on the bottom of our car that every time we went over a bump we would bottom out. It took us almost 5 hours to drive 150 miles to Ouray in the blizzard. We skidded off the road twice, hit a snow bank and ended up following a snowplow for 100 miles at 15 miles per hour. 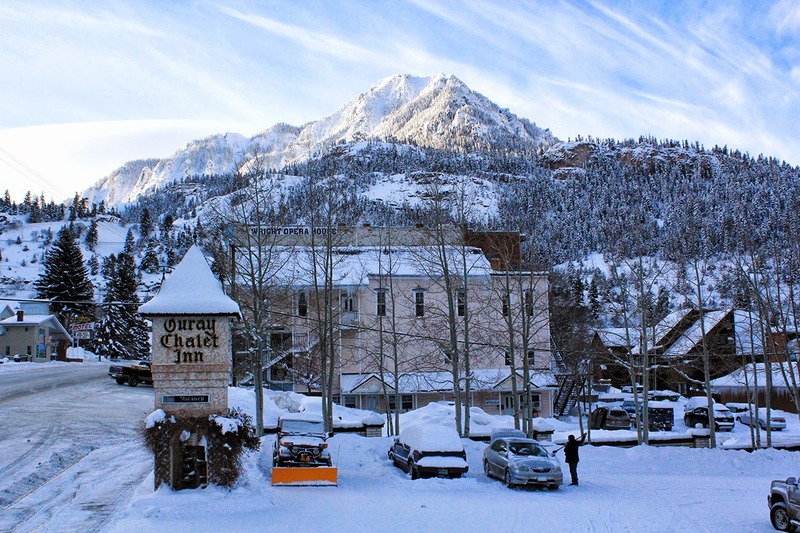 Ouray is a unique little town. It looks like something you might find in the Swiss Alps. It sits right in the middle of a mountain valley, so the town is really only one main road. 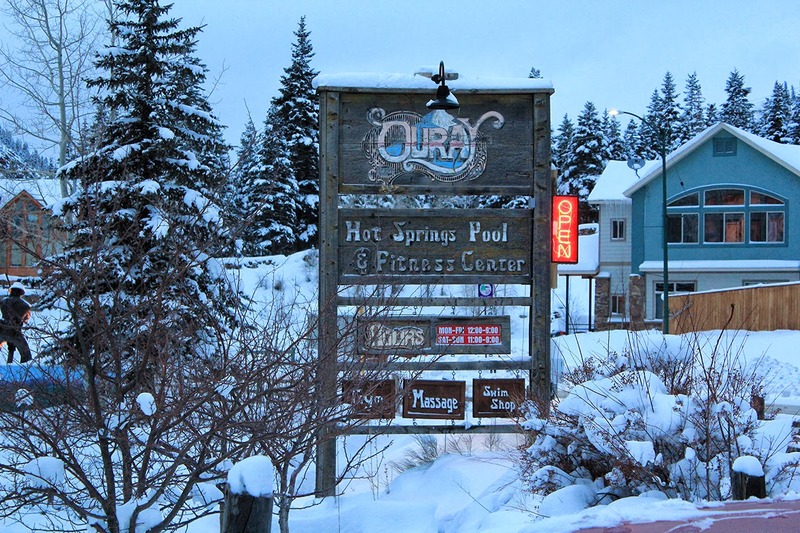 There are several commercially operated hot spring pools in the town that are open year round. 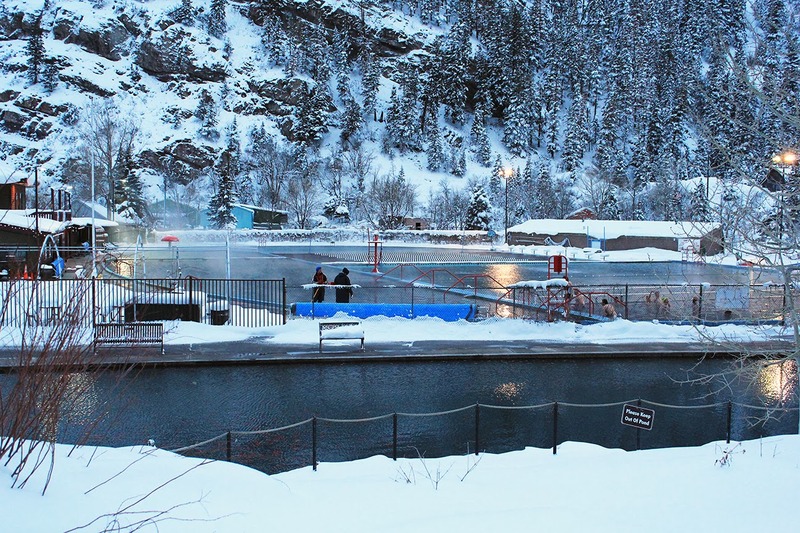 Ouray Hot Springs is the largest hot spring in town. Its bigger than an Olympic sized pool. It may have been 0 degrees outside, but the hot springs were 104 and we spent several hours swimming outside. The air was so cold that my wet hair actually froze to my head while I was running 50 feet between the hot springs and the locker room. Ouray has a waterfall you can visit right on the edge of town, but we didn't’t have time to do the hike in the morning because we had to make the drive to Telluride to go snowboarding. I really think it would be worth the drive to to come back and spend a few days Ouray in the early fall. 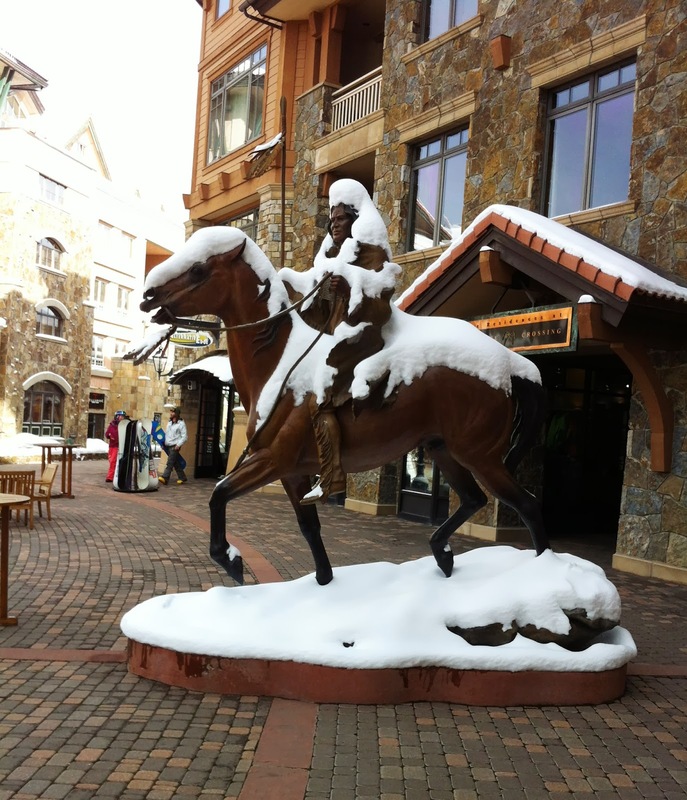 Telluride Ski Resort is quiet simply the best ski resort I've ever been to. Snow conditions were amazing because of the blizzard on the previous day and it was actually sunny. The mountain is huge and the resort is divided into 2 sections, one at the top and one at the bottom. Our hotel was at the bottom. The whole town is serviced by a series of free Gondolas that you can take to different areas around the resort. We were able to walk out of our hotel with our boards and catch the gondola 3 blocks from our door. The shape and sheer size of the mountain makes it very easy to get lost. I found myself checking the map while I was snowboarding after every run just to figure out where I was. 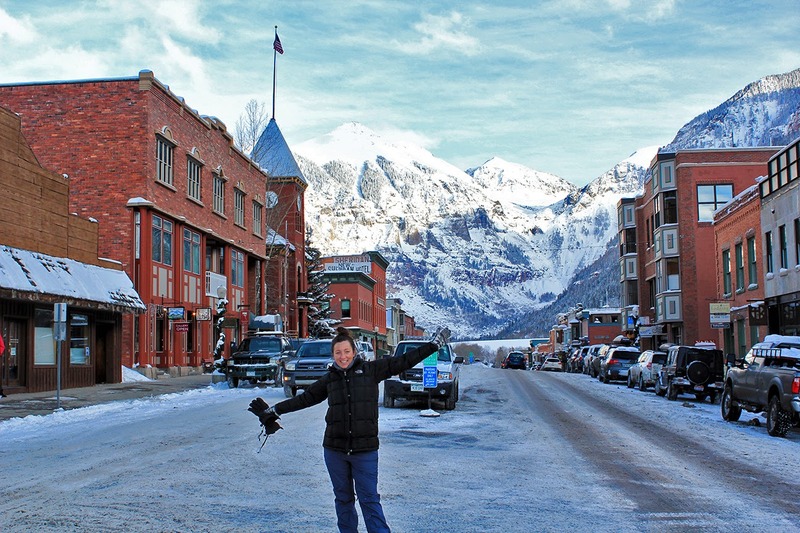 The actual town of Telluride is one of the most beautiful places in the United States. Main Street is straight off a holiday post card from the 1950s. I had read about all of the great hikes in the Telluride area, but it was just too damn cold to go trouncing off into the woods when its below zero outside. We checked out a few local restaurants, but we never really found any food that blew us away. I did end up drinking a few more of those beers from the Ska Brewery. Main Street in Telluride has a ton of cool shops. More recently, they have opened up a bunch of Marijuana shops now that it’s been legalized. We might have partaken if we could have tracked down a pot brownie. We’re already making plans to come back to Colorado next year, but it won’t be in the winter time. I don’t think I can handle another 5 hours driving through a blizzard on a mountain pass at 12,000 feet.